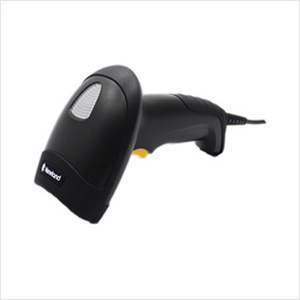 Armed with Newland’s six-generation of technology, the NLS-HR3280 provides the added value of postal barcodes decoding – extending its data capture capabilities. The NLS-HR3280, built into an IP42-sealed and drop resistant (1.5m) housing, can stand up to tough environments. The scanner allows customizing scanned data with ease and provides supporting software to address diverse application needs. Designed with the end user in mind, the NLS-HR3280 combines both red and white LEDs, and the ability to use them separately or together to meet the lighting requirements of various applications. The NLS-HR3280 delivers unmatched reading performance for various O2O applications involving on-screen barcodes even when the screen is covered with protective film or set to its lowest brightness level. Symbologies 2D PDF417, QR Code, Data Matrix, Aztec, Maxicode, etc. Postal USPS Postnet, Royal Mail, KIX Post, Australian Postal, etc. Accessories Cable USB Used to connect the HR3251 to a host device. RS-232 Used to connect the HR3251 to a host device. Power Adapter DC5V power adapter to power the HR3251 with RS-232 cable. helps substantially save check-out counter space and reduce transportation cost.